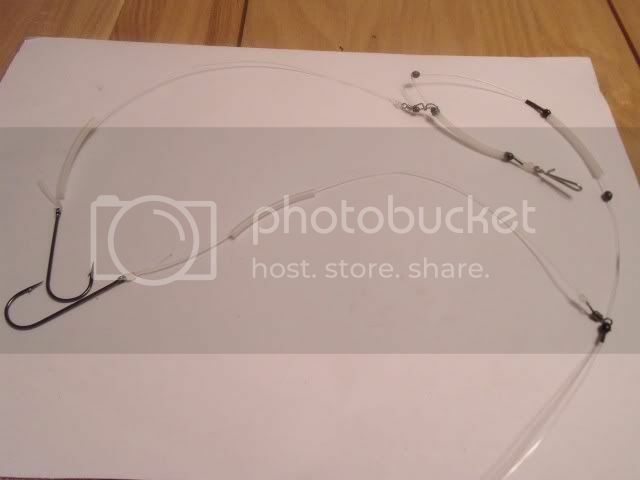 I made a few rigs up the other day and thought id do another little how-to for anyone who doesnt know how to make them. They are easy enough with a little practice. Something to fix your crimps in place, ideally a proper crimping tool, but a pait of cutters will do if you are gentle. 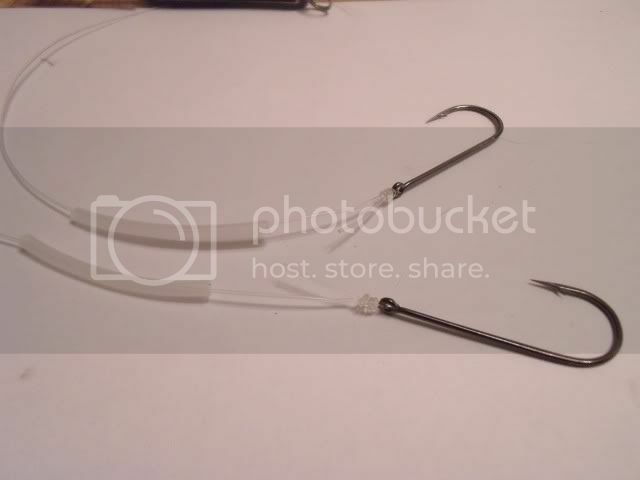 Firstly - Tie on a link clip with a built in bait clip (alternatively you could use a normal link clip if using a lead with built in bait clip) I personally like the Uni knot for all my knots. Now the order is critical - thread on.... Crimp, bead, tubing, bead, cascade swivel, bead, crimp - crimp, bead, tubing, bead normal swivel, bead, and crimp. 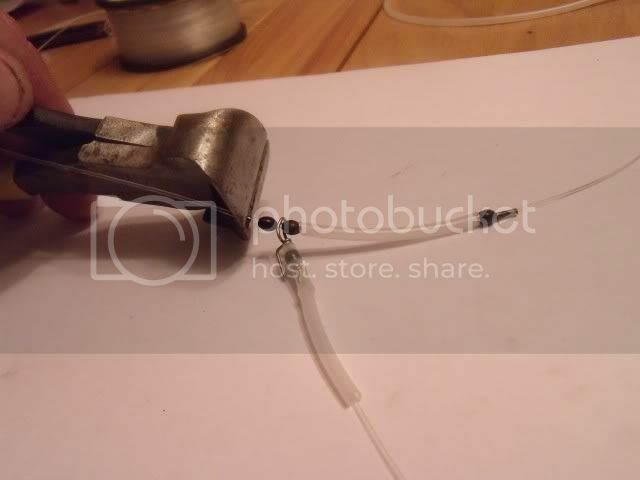 Double check you have the order correct and then tie your larger swivel to the tag end of the rig body. 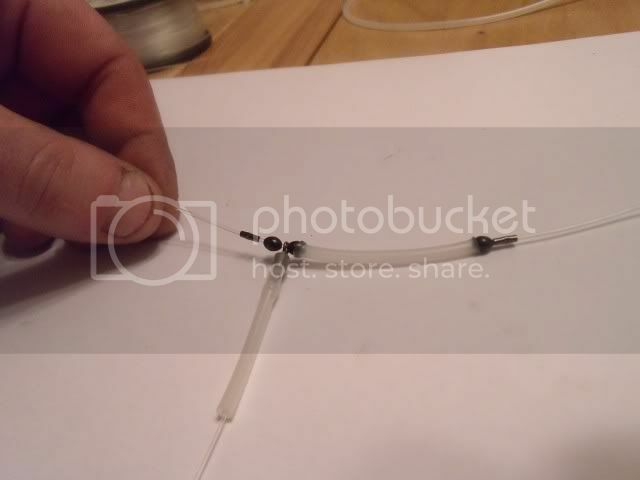 The tubing acts as a buffer allowing for the stretch in the rig body when casting. Next take your snood line and cut it in half - then tie a hook to each piece and thread on a piece of rig tubing to each snood. 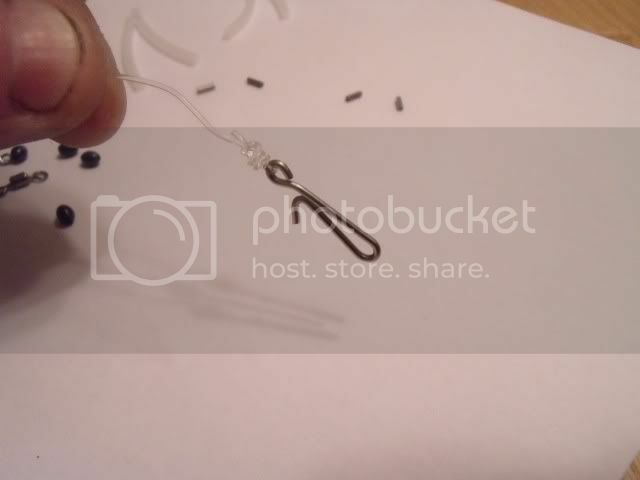 I like to leave a good tag on my knots to elp stop the bait slipping down the hook shank and onto the bend. You can now tie on your snoods, one to the small swivel and the other to the cascade swivel. Slide the rig tubing along your snoods and push over the swivels - Make sure that the cascade swivel isnt too tight on the clip. 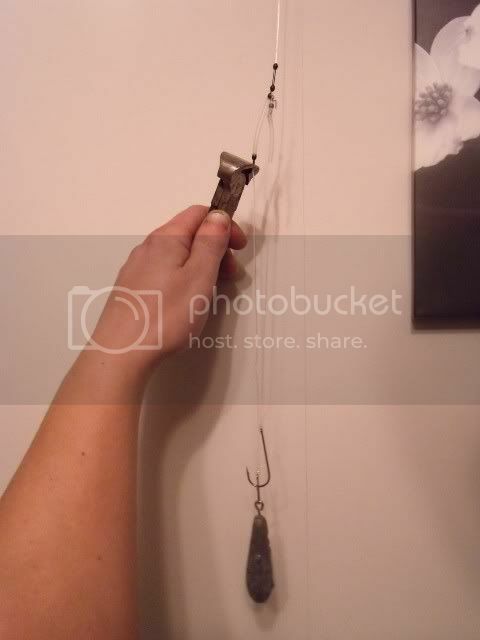 Gentle bend it out so that your hook will release properly if it is. 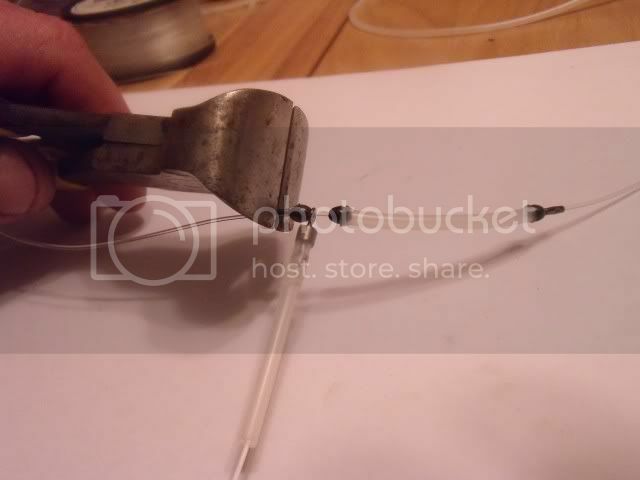 Now we can start tensioning everything and fixing the crimps in place. 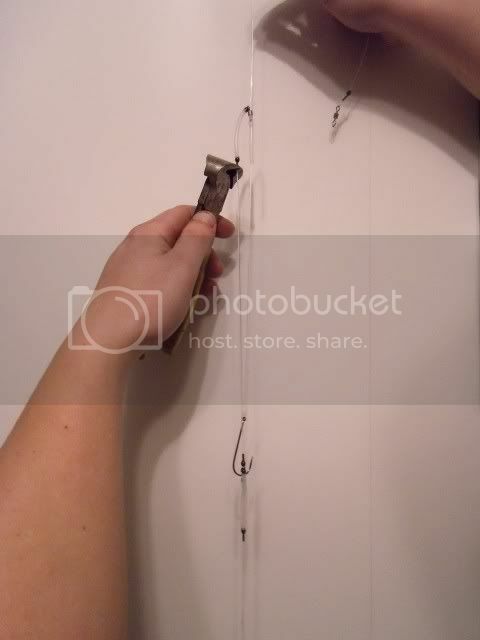 Ideally hang your rig on a picture fixing or similar and add a lead to the link clip. 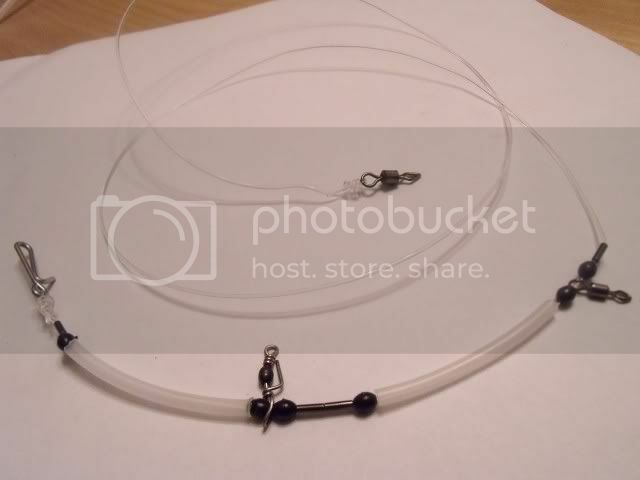 If you want to add a third snood, simply make your rig body 50% longer and use a second cascade swivel. 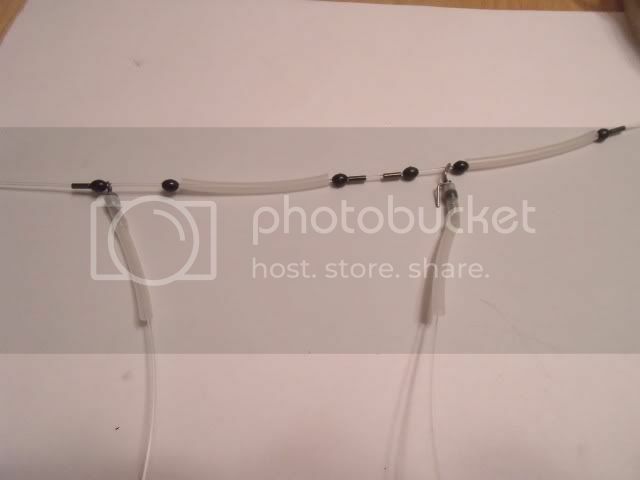 (IE add Crimp, bead, cascade swivel, bead, tubing, bead, crimp) Both cascade swivels should be the two nearest the lead. 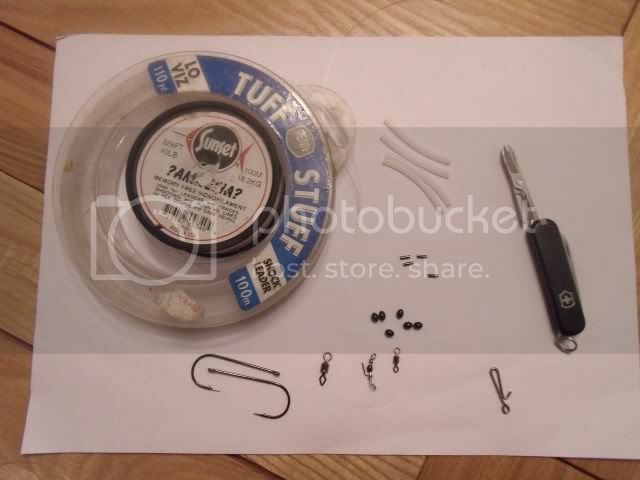 That's a brilliant post mate and a very useful guide, can we pop this on the fishing tips part of the gerrys website? Great post Paul sounds a little complicated but with a bit of practice i will get there.